"Brighton's last four matches have seen both teams score and managed to keep clean sheets in just two of their last 17 league games." Brighton appeared to be consolidating comfortably in the middle of the pack during the first half of the season but a poor run over the winter has put their Premier League status in doubt. 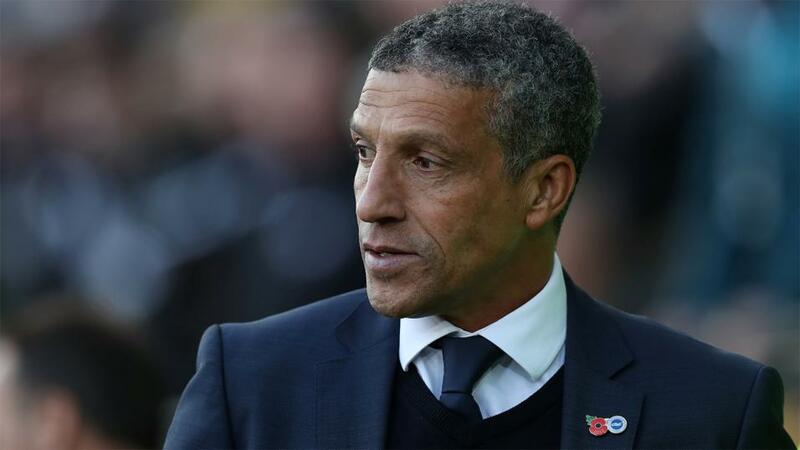 Chris Hughton's side have failed to record a league win since beating Everton at home at the end of December - a run which has seen them slip to only two points and places above the relegation zone. One point from their last six league games has to be a major concern and Brighton are the team in freefall which will have given the bottom three some hope. The Seagulls lost at home to Burnley in their last home match and were beaten 2-1 at Leicester in their latest outing on Tuesday night. The goals have dried up and their defence has not been as solid as usual so Brighton need to halt their slide quickly to avoid a nervous end to the season. It has been a miserable season for Huddersfield but there was a rare moment of elation after a late goal from Steve Mounie gave them a 1-0 victory over Wolves on Tuesday. It was Jan Siewert's first win since taking charge in January and ended their 14-game run without a victory. Huddersfield still have it all to do to pull off a miraculous escape and few will be giving the bottom side a chance with a 13-point gap to fourth bottom Southampton and only ten matches remaining. The celebrations after their victory over Wolves were driven by the anguish of their campaign, which has seen them lose 20 league games, but the Terriers are still surely heading for Championship football next season. Brighton are [1.89] favourites but their price has been drifting and it is easy to see why after a poor run. Their home form was a strength earlier in the campaign but have gone three games without a league victory at the Amex Stadium. This may have looked like a banker until recently but Huddersfield's latest victory and the hosts' downturn is enough to swerve them at the odds. The visitors are [5.4] which would not have been worth a second glance in recent weeks but cannot be dismissed any more. The impact of confidence and momentum cannot be downplayed and their midweek win could do wonders for Huddersfield's belief. It almost certainly will not keep them up but could be enough to temporarily revive them and threaten their immediate opponents. A draw can be backed at [3.45] and this option should come in for consideration. Brighton have been held four times at home in the league this season while Huddersfield have three draws on the road. That said, the importance of three points for both sides, with their top-flight status in jeopardy, is such that they will probably push hard for the winner. It is worth looking elsewhere for a bet with the two teams hard to trust. With so much at stake, it looks worth backing both teams to find the net at appealing odds of 13/10. Brighton's last four matches have seen both teams score and managed to keep clean sheets in just two of their last 17 league games. Huddersfield have been short of goals this season but their boost against Wolves could make all the difference and they will fancy their chances of finding the net against a vulnerable Brighton side. It is tempting to side with the Terriers in the double chance market with odds of 10/11 available on them avoiding defeat. Using Betfair's Same Game Multi option, backing Huddersfield to win or draw and over 1.5 goals increases the odds to 3.22 and this is also worth a second glance. Brighton have won just one of their nine Premier League games against teams starting the day in the bottom three, losing their last three in a row.